Yes, it is an awesome photo! The author has plenty of other much better photos to chose from for the cover. Well, when y'all write your own Prince books, you can certainly choose whatever cover you wish. Well, I was going to pass on this but it looks like it's worth getting. But it's still a poor choice for a cover shot. However I"m still buying the book. This is very exciting indeed. I've had it on pre-order for months!! 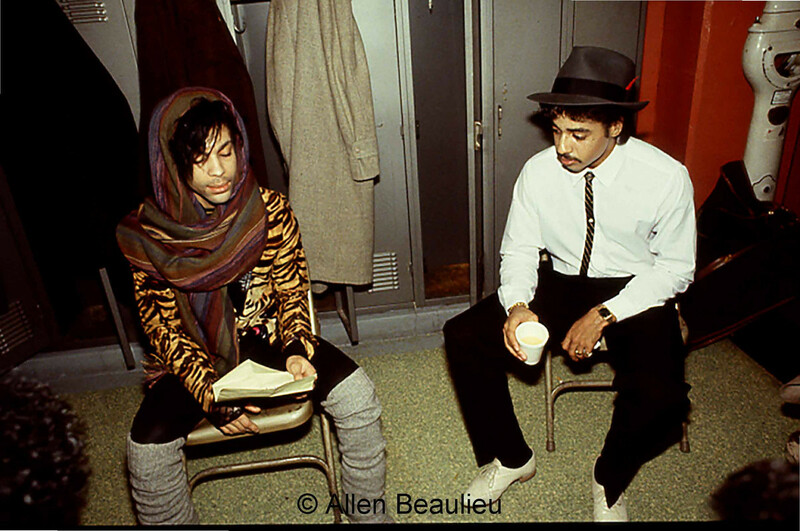 What is Prince wearing? I swear somebody should've told him something. 1978-1989 had the best Prince styles. ...I think he bought everyone else out. He didn't buy me out, though. I think I just had too many images. I took probably 3,000 studio shots, and shots on tour every day." Yes, it is. Thanks for posting the photo!